The land and sea area of Maritime Southeast Asia exceeds 2 million km2. These are more than 25,000 islands of the area that comprise many smaller archipelagoes. 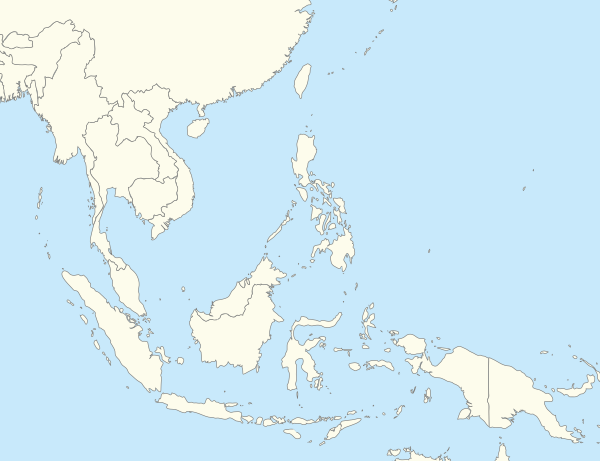 The seven largest islands are New Guinea, Borneo, Sumatra, Sulawesi and Java in Indonesia; and Luzon and Mindanao in the Philippines. Geologically, the archipelago is one of the most active volcanic regions in the world. Producing many volcanoes especially in Java, Sumatra and Lesser Sunda Islands regionwhere most volcanoes over 3,000 m (9,843 ft) situated. Tectonic uplifts also produced large mountains, including the highest in Mount Kinabalu in Sabah, Malaysia, with a height of 4,095.2 m and Puncak Jaya on Papua, Indonesia at 4,884 m (16,024 ft). Other high mountains in the archipelago include Puncak Mandala, Indonesia at 4,760 m (15,617 ft) and Puncak Trikora, Indonesia, at 4,750 m (15,584 ft). As of 2017, there were over 540 million people live in the region, with the most populated island being Java. The people living there are predominantly from Austronesian subgroupings and correspondingly speak western Malayo-Polynesian languages. This region of Southeast Asia shares social and cultural ties with the peoples of mainland Southeast Asia and with other Austronesian peoples in the Pacific. Islam is the predominant religion, with Christianity being the dominant religion in the Philippines and Timor Leste. Buddhism, Hinduism, and traditional Animism are also practiced among large populations. Historically, the region has been referred to as part of Greater India, as seen in Coedes' Indianized States of Southeast Asia, which refers to it as "Island Southeast Asia"; and within Austronesia or Oceania, due to shared ethnolinguistic and historical origins of the latter groups (Micronesian and Polynesian groups) being from this region. Historians have emphasized the maritime connectivity of the Southeast Asian region whereby it can be analyzed as a single cultural and economic unit, as has been done with the Mediterranean basin. This region stretches from the Yangtze delta in China down to the Malay Peninsula, including the South China Sea, Gulf of Thailand and Java Sea. It is argued that many of the peoples connected in this trade network had more in common with one another than their inland neighbors, thus the utility of analyzing it as a single cultural and economic unit. However, this maritime Southeast Asian region differed from the Mediterranean in that, historically, there was a single dominant political and economic power driving trade and exchange, China. Historian Anthony Reid argues that this Southeast Asian region entered an ‘age of commerce’ between the early 1400’s and the 1600’s. This age of commerce sparked the multicultural and transnational dynamics which forged the region into a single maritime unit. Demand for Southeast Asian products and trade was partially driven by the increase in China’s population in this era, whereby it doubled from 75 to 150 million. The naval expeditions of Zheng He between 1405 and 1431 also played a critical role in opening up the Southeast Asian region to increased trade. China’s role in Southeast Asian maritime trade can also be seen in the growing Hokkien diaspora which emigrated to various cities in the region throughout this period. Despite not having the official sanction of the Chinese government these communities formed business and trade networks between cities such as Melaka, Hội An and Ayutthaya. Sino-Southeast Asian trade had been going on since at least the 9th century, but their prominence in Southeast Asian port cities greatly expanded in this era. Many of these Chinese businesspeople integrated into their new countries, becoming political officials and diplomats. ^ Tarling, Nicholas (1999). The Cambridge history of Southeast Asia, Volume 1, Part 1 (2nd ed.). Cambridge University Press. p. 304. ISBN 978-0-521-66369-4. ; RAND Corporation. (PDF); Shaffer, Lynda (1996). Maritime Southeast Asia to 1500. M.E. Sharpe. ISBN 978-1-56324-144-4. ; Ciorciar, John David (2010). The Limits of Alignment: Southeast Asia and the Great Powers Since 197. Georgetown Univeffrsity Press. p. 135. ISBN 978-1589016262. ^ See the cultural macroregions of the world table below. ^ Sutherland, Heather (2003). "Southeast Asian History and the Mediterranean Analogy". Journal of Southeast Asian Studies. 34 (1): 1–20. JSTOR 20072472. ^ YOKKAICHI, Yasuhiro. "Chinese and Muslim Diasporas and Indian Ocean Trade under the Mongol Hegemony". Angela Schottenhammer[ed.] the East Asian Mediterranean : Maritime Crossroads of Culture, Commerce, and Human Migration. Wiesbaden: Otto Harrassowitz. ^ Lockard, Craig A. (2010-08-01). ""The Sea Common to All": Maritime Frontiers, Port Cities, and Chinese Traders in the Southeast Asian Age of Commerce, ca. 1400–1750". Journal of World History. 21 (2): 219–247. doi:10.1353/jwh.0.0127. ISSN 1527-8050. ^ Sen, Tansen (2006). "The Formation of Chinese Maritime Networks to Southern Asia, 1200-1450". Journal of the Economic and Social History of the Orient. 49 (4): 421–453. doi:10.1163/156852006779048372. JSTOR 25165168.